Early Monday morning (27/08) heavy clashes erupted between armed groups in Tripoli, causing the displacement of civilians and migrants in the affected area. Despite the security constraints, on 28 August IOM, Libyan and Malian authorities were able to ensure the safe transport of 118 men, 22 women, 16 children, two infants and eight medical cases to Mitiga airport for their further safe return home to Mali. Prior to departure the migrants received non-food items and health and protection assistance as part of IOM’s Voluntary Humanitarian Return Assistance. Unfortunately, an additional 30 migrants scheduled to depart were unable to reach the airport due to security constraints. IOM is following up to ensure their return as soon as possible. The current security situation forced families to flee for safety. As part of its humanitarian response IOM provided mattresses, blankets and hygiene kits to displaced Libyan families who were able to seek shelter in a school in Tripoli. The humanitarian situation and needs of these families are being assessed by IOM. At the same time, migrants at the Ain Zara and Salaheddin detention centres in the affected area were evacuated by the Directorate for Combatting Illegal Migration (DCIM) to safer centres with the support of humanitarian actors. As part of a joint humanitarian response coordinated between the UN agencies and international organizations, UNHCR distributed core-relief items including 500 blankets in Abu Slim detention centre, while IOM provided mattresses, food and beverages to more than 400 migrants, including 322 evacuated from other unsafe locations. MSF teams are conducting medical consultations, as well as providing food, water and nutritional supplements to people still in detention centres. On 30 August, in close coordination with the Danish Refugee Council (DRC) and the Somali Embassy, IOM provided direct humanitarian assistance in the form of medical consultations, food, water and non-food items to around 90 Somali migrants affected by the violence. Migrants who expressed a desire to go back home will be provided with Voluntary Humanitarian Return Assistance to guarantee their safe return. IOM is closely coordinating with UNHCR to find solutions for the Somalis who do not wish to return home. 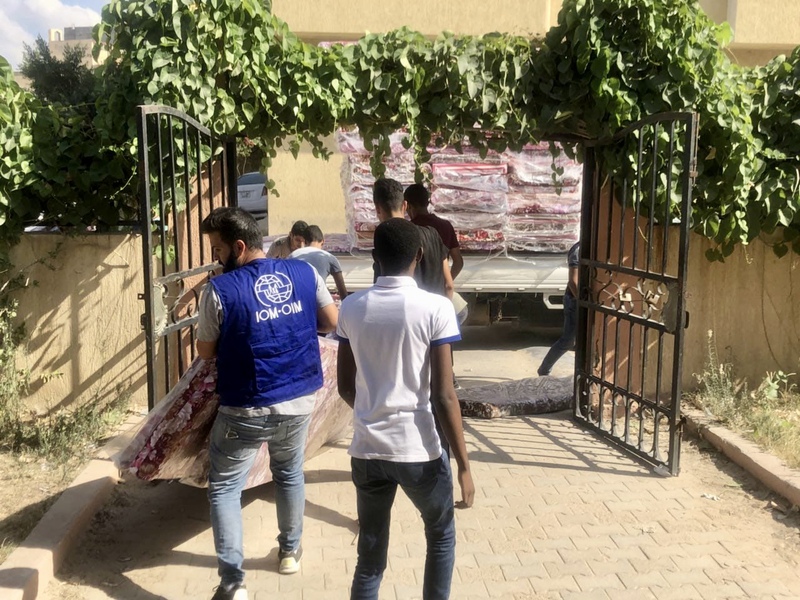 IOM continues to monitor the situation closely and respond to the humanitarian situation of the affected populations in Tripoli, while coordinating with the Libyan authorities, UN agencies and international organizations to ensure existing needs are addressed. IOM staff remains on the ground, continuing regular operations.